A lack of ambition isn’t a problem for Woodland Telegraph, with Screendeath Summersong the final installment of a Western Canada–inspired trilogy.Singer Matthew Lovegrove was previously fixated on the Rockies and the Prairies for Sings Revival Hymns and From the Fields. On the ruminative Screendeath Summersong technology and the way it interconnects with nature is the inspiration, which explains song titles like “Forests on the Edge of Factories”. “Woodland Telegraph, Matthew Lovegrove and a cast of collaborators, have released the final component in their multi-year odyssey to define and refine our relationship with nature. Screendeath Summersong is a departure, less obviously folk in nature, with the natural world presented in our relationships dedicated through technology. Similar in spirit and conception to Shuyler Jansen’s recent The Long Shadow, Screendeath Summersong is ambitious in scope and execution. I’m certain I don’t grasp its philosophical motivation, but I do appreciate it as a recording project. Unified in sound and vision, the fourteen songscapes reminds of a time when artists—be they David Bowie, Ohama, or Bauhaus—experimented with ambient qualities to construct mystical music that challenged, confounded, and enlightened. Similar to those artists’ recordings, the album works singularly as a forty-minute opus, as well as individual pieces encountered randomly. “Fighting For The Feeling,” a male-female duet, works most assuredly as a pop song, as does “Screens.” Instrumental interludes allow for aural set changes between pieces. 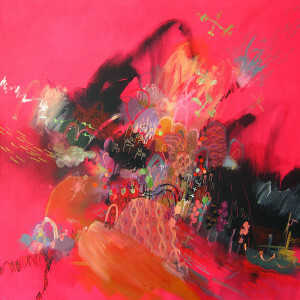 “Forests on the Edge of Factories” captures the push-pull duality of the natural and technological worlds we inhabit. As once XTC did, Woodland Telegraph hides introspection in rock n roll verse: we may not grasp the significance today, but eventually enlightenment will be revealed. NXEW “The Rocky Mountains are truly one of Canada’s most beautiful landscapes. Matthew Lovegrove’s Woodland Telegraph sets out to capture the beauty of the Canadian Rockies landscape as well as its history in Woodland Telegraph sings Revival Hymns. 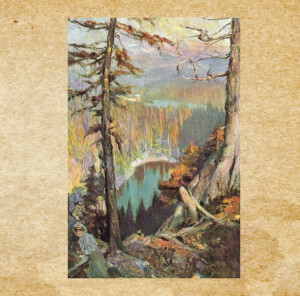 This is the first in a trilogy of albums based on Canadian history and landscape. Lovegrove wintered in an old cabin/research station (the Barrier Lake Field Station) while writing and researching material for Revival Hymns in the Kananaskis Valley. Having also spent some time living in the Rockies, and also being a huge fan of Canadiana in song form, I was eager to hear the history and landscape of the mountains translated to music. Woodland Telegraph sings Revival Hymns did not disappoint. The album captures both the loneliness and wonderment of mountain life, especially in tracks such as Lantern on the Mountain which conjures images of haunting solitude as it tells the story of someone snowbound alone in a cabin, imagining glimpses of life while waiting for death. Revival Hymns also features atmospheric musicianship with Lovegrove playing the banjo, guitar, and mandolin, and guests playing harmonica, lapsteel, viola, and violin. 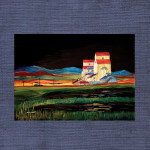 Many of the songs feature Rockies locales such as Deadman’s Flats and Oil City Hotel.The second of the trilogy from Woodland Telegraph, From the Fields, is centred on farm and prairie landscapes. Matthew Lovegrove is currently recording in prairie locations in Southern Alberta. The locations include an old prairie ghost town church where Lovegrove hopes to further capture the prairie atmosphere.From the Fields is set for a late summer 2010 release date.